Let’s talk about the mission in the music. As a nonprofit organization here to charitably serve community needs, Portland Ovations is guided by our mission: as part of providing so many great, entertaining performances each year, we work to inspire a curious and imaginative community, where the experience of the performing arts is a vital part of everyday life. We’ve discovered that quite a few musicians and other artists pursue missions to benefit the common good as well. 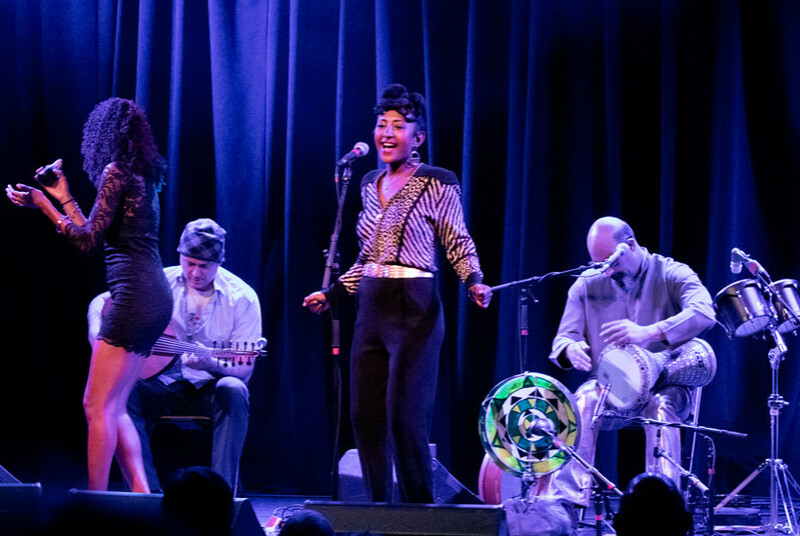 Alsarah, a Sudanese-born singer-songwriter and ethnomusicologist, arrived in Portland Wednesday night in anticipation of her Thursday night concert at Port City Music Hall (where you there? Tell us about it in the comments!) 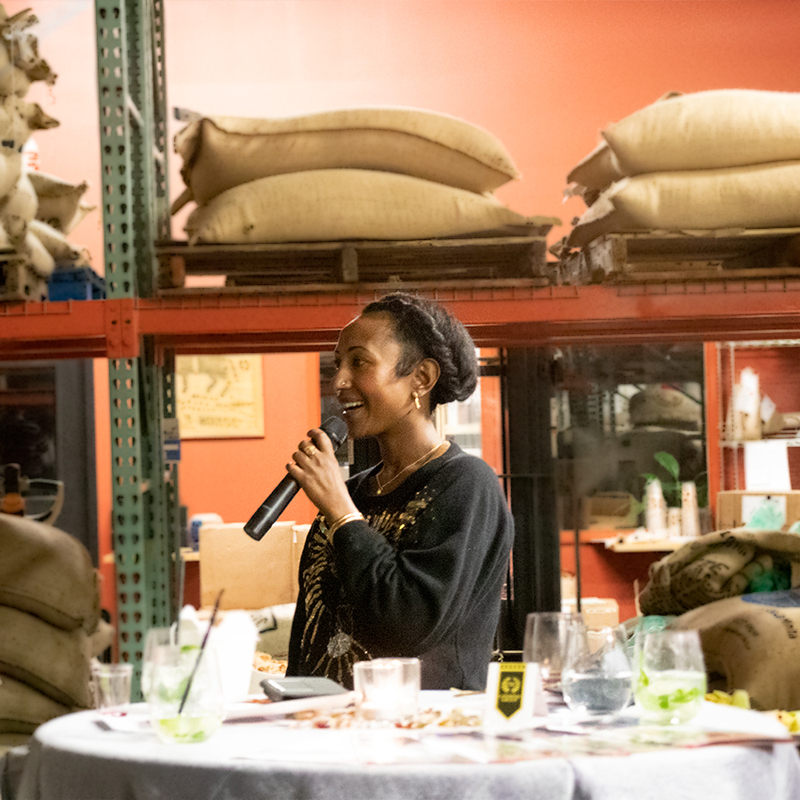 and, thanks to Ovations’ board member Mary Allen Lindemann, we had the pleasure of inviting members of the Immigrant Welcome Center, Ovations board, community musicians, and other interested folks to share a drink and some food with her at Coffee By Design’s roasting facility on Diamond Street. “Mission magic” happened. 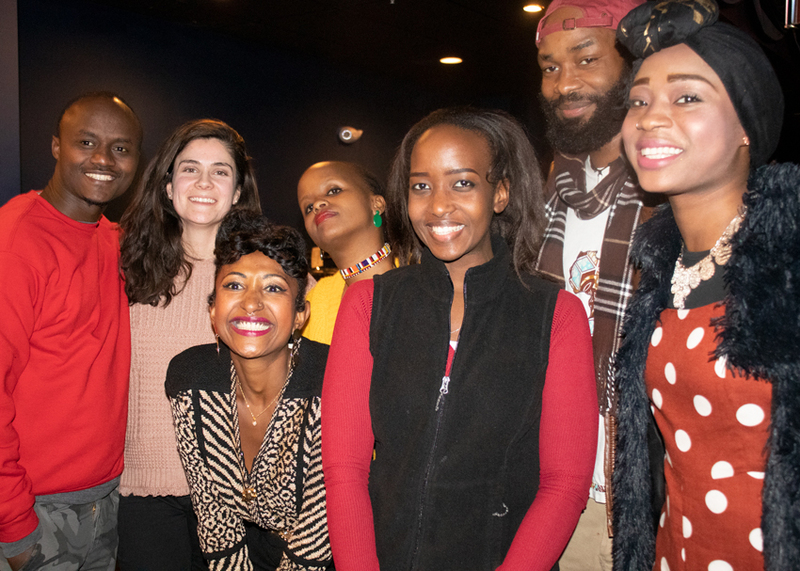 The conversations during the reception, with Portland residents who have immigrated here from all over eastern Africa as well as those born and raised right here on the bay, confirmed that the power of music helps us to each know and remember who we are. Like food, it is the music we are surrounded by as children and young people that forever speaks to us of home. The musician paused at this point in her remarks, then went on to say, “Music for me was a way to escape pain” – and a hush fell over the cavernous room. 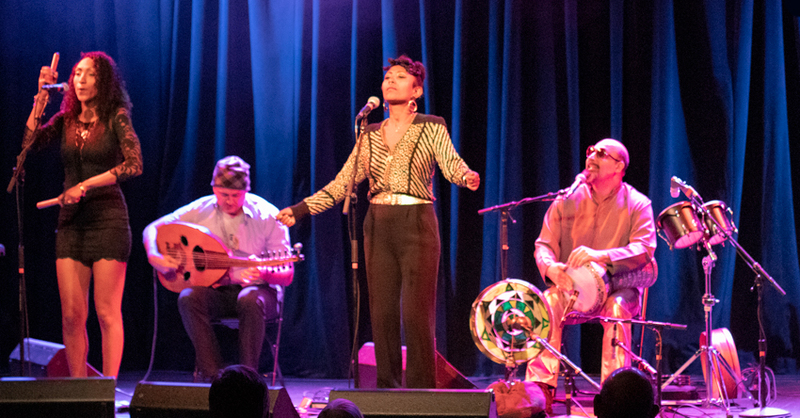 Alsarah draws the musical influences for her “East African Retro Pop” from her native Sudan; Yemen, where she grew up before coming to the U.S.; Ethiopia, and Zanzibar; she is known for making “borderless music.” Thus the home she builds for us—a place where we might briefly come together from many cultures, and escape the pain that too often separates us is wide and generous. We’re almost all immigrants here now, in North America. And experiences like these—in the cultures between borders—unite us and remind us of why we do what we do.